I'm a silent thinker living in Colombo, Sri Lanka. I have always wanted to be a stay at home parent! To me, there is nothing better than being with my son and experiencing every day with him. I love to see him nurture and learn. Every day he has an innovative "trick" that we preoccupy over. I love waking up knowing that I get to spend another day educating my small friend about life. Frequently, I get asked, "What do you do all day with a one-year-old?" I continue to go down my extended list of daily things I do every day and my friends always gaze at me and state, "Oh wow. That's cool." Ha-ha! Occasionally they are serious, and other times I can tell they assume I am a little crazy for loving this lifestyle. To me, it is a blessing to stay home, and I try to make the best of every minute of it! One-year-olds are in that "in-between" stage. They're not babies anymore, especially as they grow more interested in being mobile and developing motor skills. Their capability to play is more highly developed than an infant, plus they won't exactly sit still for a long time. 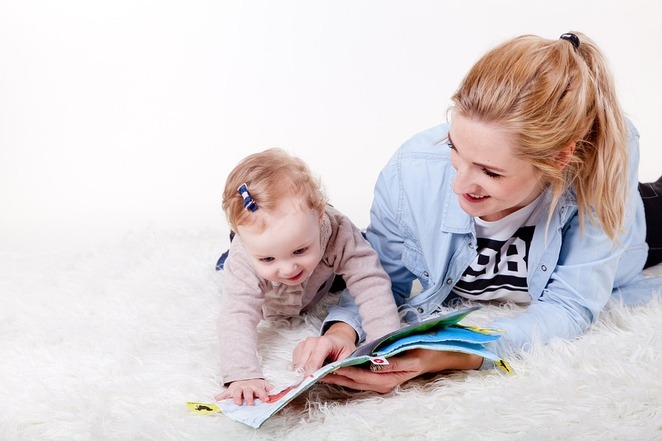 One-year-olds can't focus for numerous hours, so these activities are short. Think of them as bite-size activities to liven up your schedule. I also propose doing one activity a day and relying on your usual routine to fill the rest of the time. I have had a few acquaintances ask me of late for some ideas of activities to do with a one-year-old baby at home all day. I thought I would share a few activities with you today that have helped me and my son have fun together on a daily basis! This activity gets my kid mood happy and high. I use simple percussion instruments like rattle spoons, pans, pots, bells & drums. Make sure that I play fun tunes with rousing beats and then encourage my son to try out his own tunes. This activity can help boost my son's coordination and listening skills. My son loves this activity, and I enjoy it as well. It's easy; create a fort out of a cardboard box, including an entrance and exit. Then, I encourage my child to move in and out, by doing activities like knocking on the door and asking if "anyone is home". I use a couple of toy mobile phones for this activity. My son loves to meddle with my mobile phone and get excited whenever my mobile rings. I hand over one mobile to my son, and I keep the other one. Then I pretend to make calls and hold conversations using funny voices, creating silly characters. This makes my son go crazy with laughter and joy. Before bedtime, I sit with my son and have him grasp the ends of a blanket while I hold the other end making waves of the blanket moving it up and down. My son loves this activity and will go on and on tirelessly. My son is fascinated by the behaviour of a balloon, whenever he strikes the balloon, it goes in its forced direction and then slowly drops down to be hit again. The real thrill happens when the balloon blasts, my son loves to break the balloon and he always expects me to have balloons to blow up in standby mode. Similar to the telephone activity, talking through a paper cardboard towel tube to my son, make him react and respond to the changes in my normal speaking voice. I take turns with my son, and he makes very interesting sounds trying to reply to my conversations. What I have noticed is that my one year old loves playing with language and it gives him the opportunity to practice new and novel sounds. My son loves to count his fingers and toes, I thought him how to touch each finger and count, well he does not count in numbers, he touches his fingers imitating my actions, but this activity helps him understand the concept of counting. I always say "Yes" 99% of the time and avoid saying "No" unless it's a matter of imminent danger to health or safety. This freedom gives my son the free will to explore the world and discover independent things independent of my input. My son is like a little scientist who loves figuring out things without being prompted. I have learned that the clapping activity can help boost language skills, hand-eye coordination and sense of rhythm. I sit facing my son on the floor and hold his hands and pat them together, singing a song happily, with time my son has learned to clap on his own. As easily entertained as toddlers can be, it's amazing how challenging it is to find activities for 1-year-olds every day. But as I have mentioned, a lot of activities can be done in a few minutes in the comfort of one's home. These activities cater to that "in between" stage and introducing my one-year-old to new concepts and environments allows him to find joy in simple activities. I know that staying home with a baby can be the hardest job at times, but I also know it can be the most rewarding. By creating a fun environment and playing with our children, we will be able to make the most treasured memories for them and us.